Bignonia glandulosa Schumach. & Thonn. The tree has a range of local medicinal uses, for which it is gathered from the wild. It is often grown as a living hedge to mark boundaries, and is also sometimes grown as an ornamental, where it is valued for its flowers. West tropical Africa - Senegal to Cameroon and Gabon. 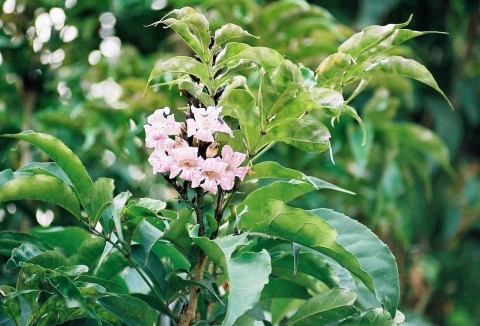 The tree, and especially the bark, is widely used in traditional medicine in Africa. Rabbit and guinea-pig is reported (26).